To me, the horror film genre is so close to being past beyond saving, with only certain films giving me a slight glimmer of hope for the future (Trick 'r Treat). This is mainly because the genre is completely flooded with several mainstream remakes of classic horror films, first being started off with Gus Van Sant's shot by shot remake of Psycho in 1998. Now, don't get me wrong, there have been several good remakes that pay homage to the original while also taking a concept into an entirely different direction (The Thing, The Fly, The Blob, etc). But being in a generation where horror remakes are the norm, it's frankly just getting tiring to see remakes of classics (Halloween, Friday the 13th, etc) and obscure cult favorites (Black Christmas, Maniac, etc) being made and released year after year. 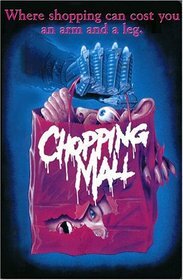 So it really didn't excite me to see that yet another movie from the 80's is being remade - Chopping Mall. It appears that Robert Hall, makeup artist turned writer/director who's known for films like Lightning Bug and Laid to Rest, is attached to co-write, co-produce and direct a remake of the 1986 Roger Corman produced film. In the original movie, a group of teenagers are trapped in a mall and are at the mercy of three killbots that were probably designed by the same company who made Johnny 5 from Short Circuit. According to Hall, "It will retain the basic concept of young people trapped in a mall; however, the story will have a darker, supernatural spin." And Hall, in a response to an article on the remake written by William Bibbiani on Crave Online, said that his version of Chopping Mall "will have the same need to be made and on par with The Crazies." I do like the fact that Hall is taking the remake into a new direction rather than making a carbon copy version of the original. But honestly though, I wouldn't care if the best horror director (Michael Dougherty, Neil Marshall, Adam Green, etc) or the worst horror director (Marcus Nispel, Eli Roth, Nelson McCormick, etc) of this era were taking the reins of this project. I am just getting extremely sick of remakes! I am an advocator of original content. That's why such films like The Texas Chain Saw Massacre and Halloween are so popular, BECAUSE they contain original content! I want to see new horror icons emerge, like Victor Crowley from the Hatchet series, Sam from Trick 'r Treat, or Chromskull from the Laid to Rest series. I would enjoy seeing more original content from horror film directors who do have the access to a decent sized budget and have some sort of creative control over what they're working with. 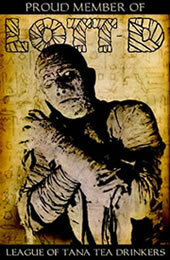 Filming for this particular production is supposed to begin sometime in Spring 2012. I'm crossing my fingers that this remake will be something decent, and not something that I'll find in the $3 bin at an FYE eventually.